How do we learn from that data and bring that complete cycle to be able to augment humans on their path of continuous improvement? 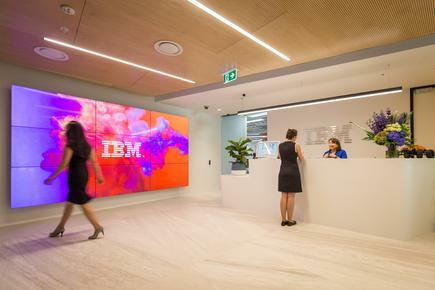 IBM New Zealand says its new office in Auckland’s Wynyard Quarter will provide enterprise, startups, and developers access to their emerging technology and expertise such as artificial intelligence, cloud and quantum computing. At the official opening of its new offices early this week, IBM executives and their customers demonstrated how some of these emerging technologies are already being used across the globe. 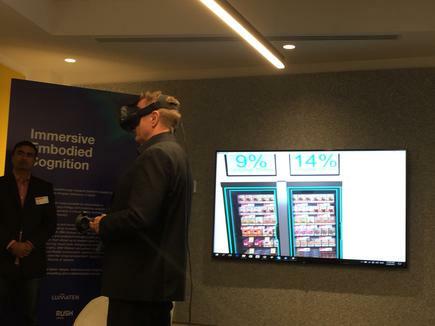 Rush Digital and Lumaten showed a cognitive market research platform called Shopper360”, made possible by new research in cognitive psychology and predictive analytics utilising IBM Watson. Watson is integrated into the 360 platform for research as it can study rich data more than a human can analyse. 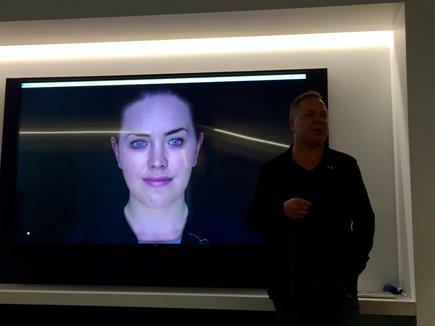 Soul Machines showed its latest human-like avatar ‘Rachel’ which is designed to create emphatetic user interactions with emotional intelligence technology in combination with the AI of Watson. 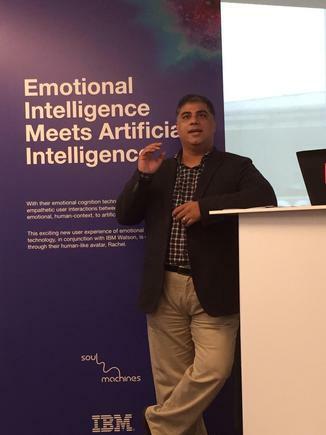 Chandan Ohri, head of AI at IBM New Zealand, says the demonstrations show what has been achieved over the last six years, since Watson competed in Jeopardy, and beat the tv quiz show’s two biggest champions. He says Watson can now create a film trailer, help musicians compose lyrics and use Gaudi style architecture to create works. “Understand the art of the possible, and how AI can apply to user cases in your organisations,” says Ohri. Data is not a problem today, he states. In an oil and gas facility, for instance, 80,000 sensors can produce 15 petabytes of data. Cognitive systems democratise innovation by scaling knowledge, he says. He says MoleMap, which operates clinics to detect skin cancer, is an example of a local company that has tapped the technology. Since 1997, MoleMap has diagnosed over 250,000 patients and assessed over five million moles through its 50 clinics across New Zealand, Australia and the United States, says Ohri. He says IBM has a research partnership with MoleMap to understand reasons and learn how to interpret the problem of melanoma. In Melbourne, IBM used AI to boost its annual fashion week and help make it the retail capital of Australia. To understand the audience better, they used big data and analytics to enhance the customer experience and understand how trends on the catwalk translated online and in stores. He says based on these insights, the organisers saw a 400 per cent increase in sold out shows compared to two years ago. He says IBM can provide a platform for startups, digital innovators and ‘technical ninjas’ to help them build new innovation solutions and apps that will make an impact in New Zealand. 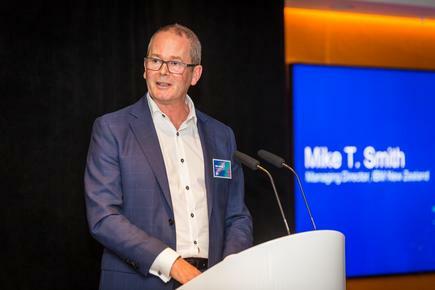 Mike Smith, managing director of IBM New Zealand, says the new Auckland office is the latest in the company’s long line of local investments. These include the $80 million state of the art data centre in Highbrook and their over $20 million onshore investments on cloud infrastructure and partnerships with the education sector. 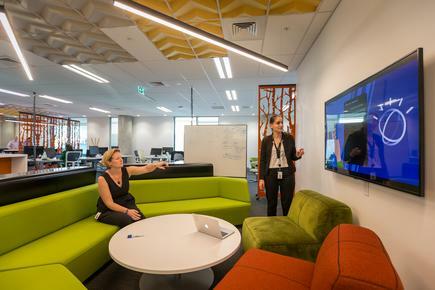 IBM’s new office on 30 Gaunt Street in Wynyard Quarter is located in a five green star, 100 per cent seismic rated building. It includes an innovation hub that will be used to create customer centric solutions with clients and partners using IBM’s design thinking technology.